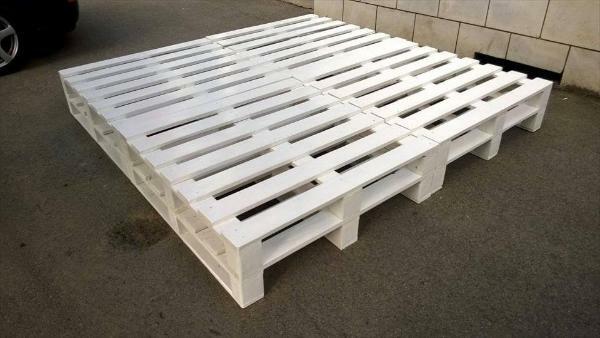 Today’s post is all about creative stacking and ingenious arrangement of uncut pallets which can sometime result into functional objects you have never thought of before! 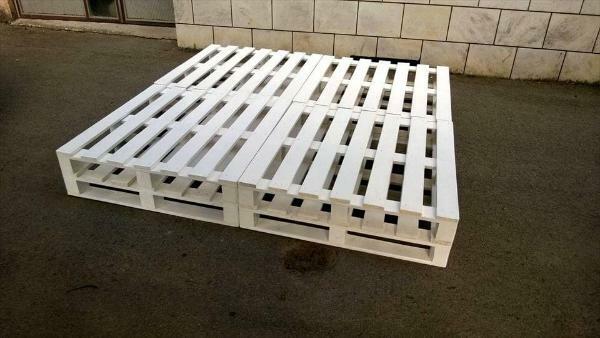 One bigger achievement of solid uncut pallet arrangements is this DIY pallet bed frame, made of 8 white painted pallets, all heat treated and are having equal solid dimensions! 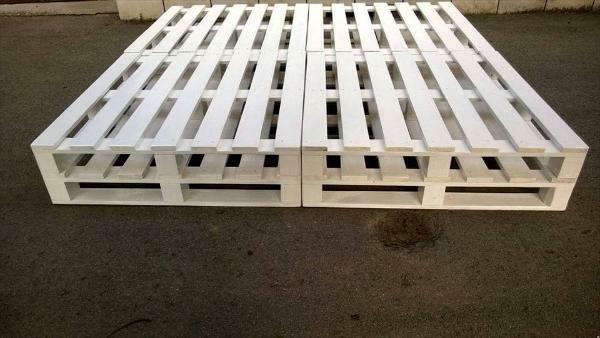 Here pallets have been put together in custom bottom-to-bottom attachments and hence have been raised to 2 solid layers, this type of arrangements are beneficial especially when you are seeking for some storage options also built in the bed, here these are given in shape of cubbies as you can see! 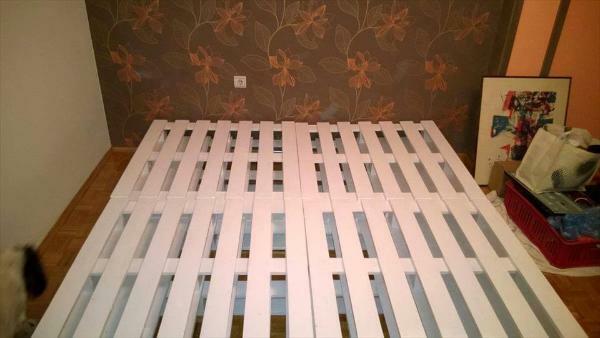 You can add or remove pallets to vary the dimensions of bed that may suit best to your custom bedroom interior, one or two pallets can even be positioned vertically there behind the bed for a glam pallet headboard piece! Bed can even be finished with LED lights in the built-in openings that will help the bed get illuminated gracefully at night, would make you entire bedroom look fancy at night for sure!